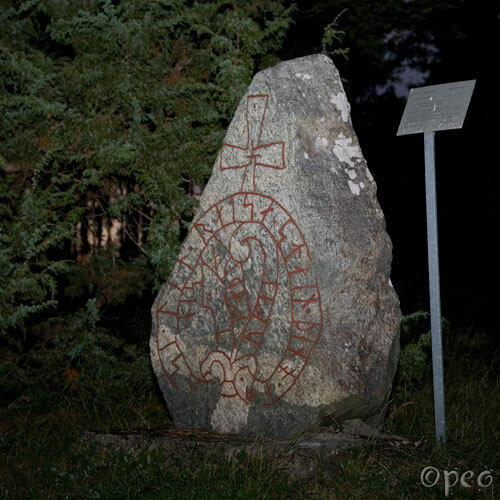 <olbusi> had this stone raised in memory of Ófeigr, his father. This was a tricky one to find. No signposts..... It's standing a few hundred metres northeast of U 654, halfway up a hill, and there's a narrow path leading to it.